“PC has always been a key element of Far Cry’s DNA, and this couldn’t be truer with Far Cry 5,” says Kirill Bragin, PC version producer on Far Cry 5. In order to help ensure PC players have the best experience possible, the Benchmark feature and video memory usage meter will help you analyze your system and calibrate the myriad visual options, including variant aspect ratio support, FOV adjustment, optional FPS locking, and resolution scaling. 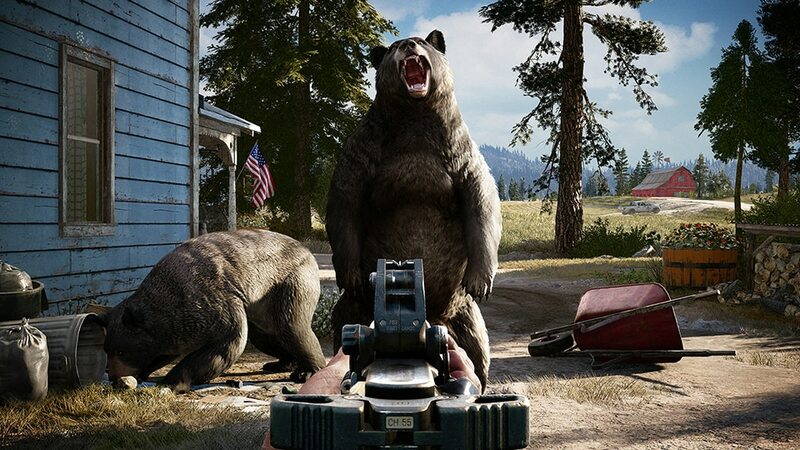 But players won’t need to dive into the calibration menus if they don’t feel like it, says Bragin, because “the game will auto-detect the user’s hardware and will set the matching quality preset and resolution.” Furthermore, Far Cry 5 will support multi-GPU functionality, allowing players to significantly improve performance. “This is just a sneak peek at some of the features we are excited about for the PC version,” says Bragin. Check below for the minimum and recommended system requirements. Far Cry 5 is scheduled for release on March 27, 2018 on PC, Xbox One, and PS4. For more on Hope County and the dangers that await you there, check out our previous Far Cry 5 coverage.